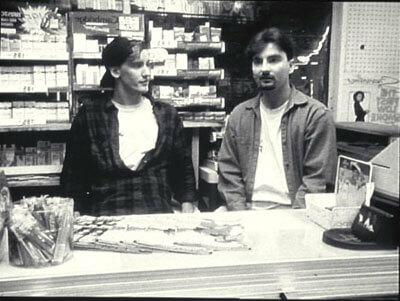 April 15-16 Midnight Movie: Clerks Dundee Theatre, 4952 Dodge St. Midnight both nights, Tickets $6, dundeetheatre.com The film that introduced the world to director Kevin Smith and convenience store roof hockey gets the Dundee midnight treatment this weekend. Shot in black and white on a shoestring budget, this 1994 indie flick features jarringly funny dialogue about the pains of being a store clerk. Plus, it’s got Jay and Silent Bob. If you’ve ever had a dead-end job and been called into work on your day off, then this one’s for you.